Water dripping onto the front pew at St Swithun’s Church in Great Chishill made it was clear there was a problem with the high level windows . 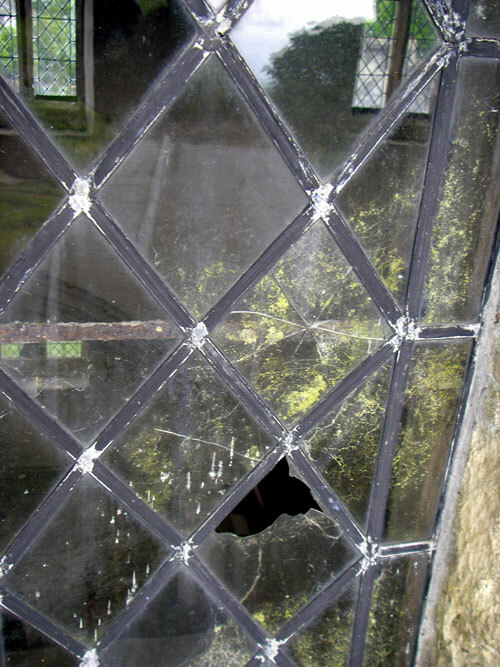 Clambering up onto the roof allowed an inspection which soon revealed a series of cracked and holed panes directly above the wet pew probably as a result of a bird strike. 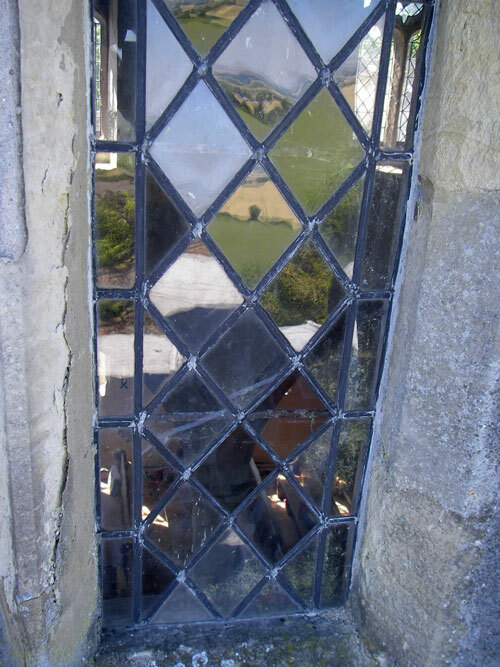 Once back on the ground I was able to point out to the Churchwardens the missing glass which of course lined up with the damp area. Another company had inspected the same windows and declared all eight on the northern aspect were in need of full replacement at a cost of £43,000 – replacing the three panes has so far solved the problem and delivered a saving of over £42,900 to a happy PCC Treasurer. The windows attract the heat of the sun resulting in quite marked distortion which had I assume lead to the other company recommending their replacement as the cause of the leak. Distortion is not an issue whilst they continue not to leak and I would aways leave them in place. 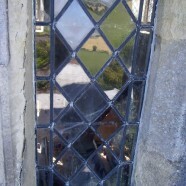 The survey revealed that in this case the water ingress was from an obvious source with one holed pane.